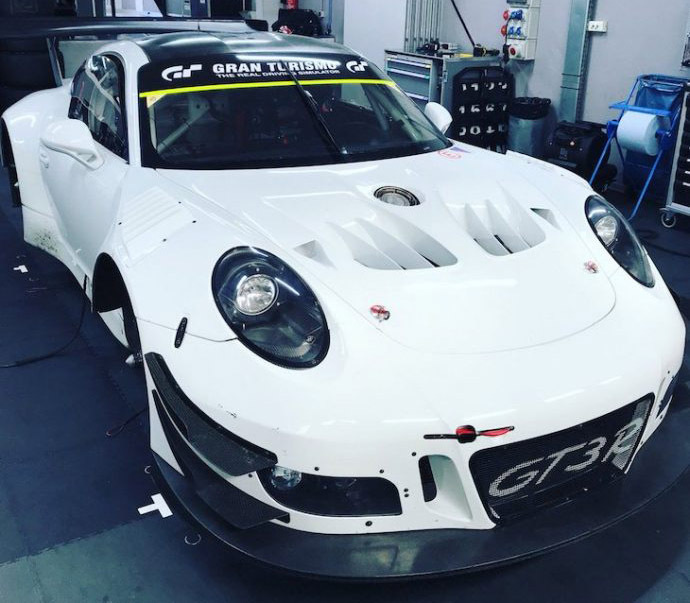 Porsche are set to bolster their factory-backed GT3 efforts around the world in 2018 with a revised 911 GT3-R (below). The ‘Evo’’ pack for the coming season sees uprated cooling (the revised front ‘bonnet’ clearly visible here) and a modified splitter to improve aero balance. Romain Dumas, Frédéric Makowiecki and Dirk Werner will be teamed up for a full programme in the Blancpain GT Series Endurance Cup with Manthey Racing. The same trio will race in all four of the Intercontinental GT Challenge rounds in 2018 too: Bathurst 12 Hours, Spa 24 Hours, Suzuka 10 Hours and the California 8 Hours at Mazda Raceway Laguna Seca with Porsche supporting a regionally based team in the Pro category with their squad at each of the non-European races giving the drivers, and the factory a full season campaign in both Manufacturers and Drivers Championships. 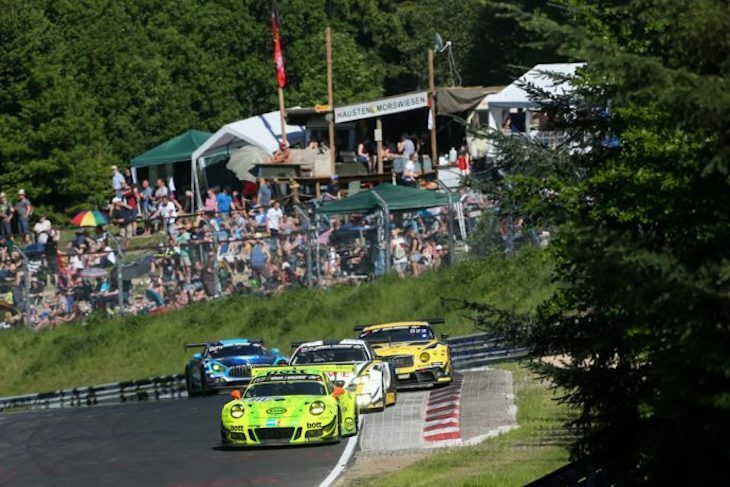 The Nürburgring 24 Hours should see no fewer than nine 911 GT3 Rs entered, five of then full Pro cars including a Manthey-entered pair. 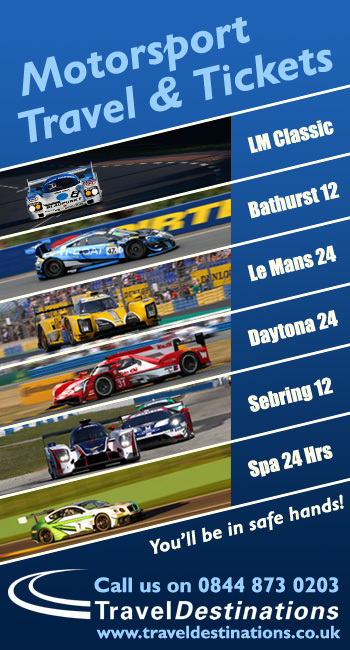 Earl Bamber, Kevin Estre, Patrick Pilet and Laurens Vanthoor join forces in one Manthey car, the other sees four time N24 race winner Romain Dumas get a chance to join the record holders on five wins, he’s teamed with Richard Lietz, Fred Makowiecki and Nick Tandy. Timo Bernhard meanwhile is slated to share a car with Kevin Estre from his family-run Team 75 Bernhard for a full season in the ADAC GT Masters Championship.